The new models come with Intel’s 8th generation Core processors and NVIDIA GeForce GTX 1050 and 1060 GPUs, making them “up to five times more powerful” than the original model and twice as powerful as the latest MacBook Pro. Despite powerful processing components, the hybrid device offers all-day battery life, with up to 17 hours of video playback in laptop mode and 5 hours in tablet mode. The detachable 15″ PixelSense multi-touch display comes with a 3240 x 2160 resolution, while the smaller 13″ variant still offers a very dense 3000 x 2000 pixel count but is lighter than its larger cousin (3.38lbs vs 4.2lbs). 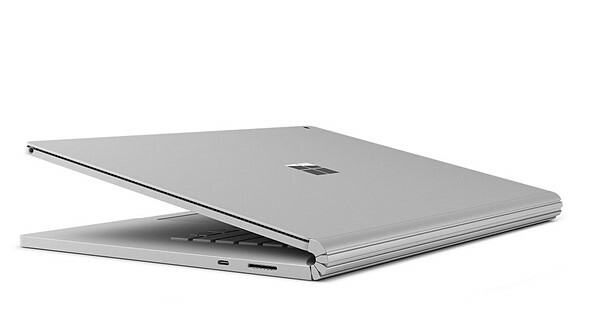 Finally, in one last nod to dissatisfied MacBook Pro users, the new Surface Book 2 comes with a full array of ports, including: two USB-A ports, a USB-C port, and an SD card reader, reducing the need for dongles or other connection accessories. 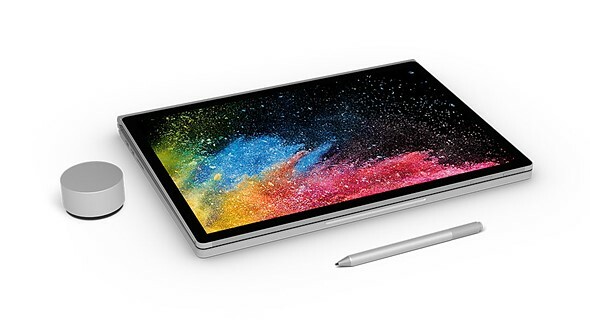 You can find the complete Surface Book 2 specifications on the Microsoft website, where you’ll also be able to pre-order the new models starting November 9th for $1500 for the lowest power 13-inch model and a whopping $2,500 for the base 15-inch model.